We’re all aware that on German autobahns there are no speed limits in place, but what other countries allow their motorists to really experience the speed of their car on the road? Did you know that the UK was the first country to put a speed limit in place? The maximum speed limit of 10mph was introduced in 1861. A lot has changed since then. You’ll need to travel to the north of Australia to get the same driving thrill that motorists in German experience as parts of Stuart Highway. This road is a major one for the country as it connects Darwin in the Northern Territory to Port Augusta, South Australia, in the south and takes in places like Tennant Creek and Alice Springs along the way. There’s also no speed limit on the Isle of Man but the roads found on the island made famous by the annual TT motorbike race are dangerous so most drivers keep their speed to a minimum. The highest limits around the world are found in Poland and Bulgaria where 85mph speed limits are in operation. It’s a similarly story in Texas which posts a 85mph (137 km/h) limit on one of its toll roads. Speed limits are in place to make the roads safer. We all understand that when we drive through residential areas but what’s to stop the UK from having unlimited speeds on some of its motorways? Figures from the World Health Organisation show that there are around 1.2 million deaths per year on the road. They identify speed control as a key way of making roads safer. The other truth is that a lot of the roads in the UK can’t cope with the amount of traffic they face but they would be worse off if there was no speed limit. If the cars on a road maintain a similar speed, the road is used more efficiently. 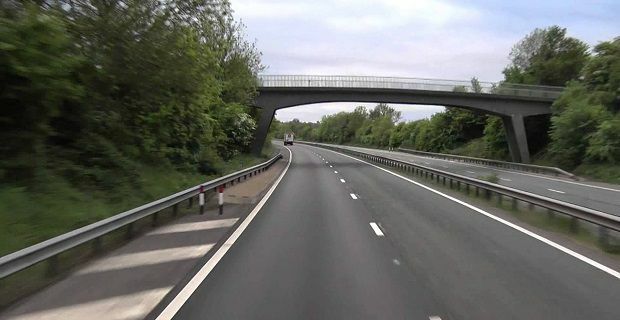 If drivers are free to do the speeds they wish, then motorists who entered the road at a later time would catch up with those ahead which could jam the road.